Lotos has been in the business of manufacturing plasma cutters, welding machines, and accessories for a long time. You will find numerous Lotos plasma cutter reviews, but few are as comprehensive as this one. In this regard, your search for the bet machine from Lotos ends here. 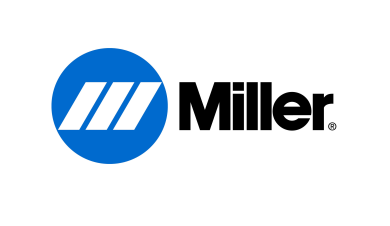 Find different brands from the company and invest in them for a completely new plasma cutting experience. While they companies have highly priced plasma cutters, Lotos plasma cutters are very affordable. The fact that they are reasonably priced does not mean that they compromise on quality. Actually, these machines appear on most Lotos plasma cutter reviews because they are known for efficiency, durability and for being user friendly. Do not procrastinate on your purpose to buy a Lotos machine this new year. This plasma cutter has a 2-in-1 function because you can use it while plugged on 110V and on 220V and switch from one to the other seamlessly. Similarly, use 50 Hz or 60Hz frequencies. It boasts of the highly advanced PAPST German cooling system, which means that your machine will never overheat. As a seasoned plasma cutter operator, you already know the damage that overheating can bring to your machine, and to your entire business. 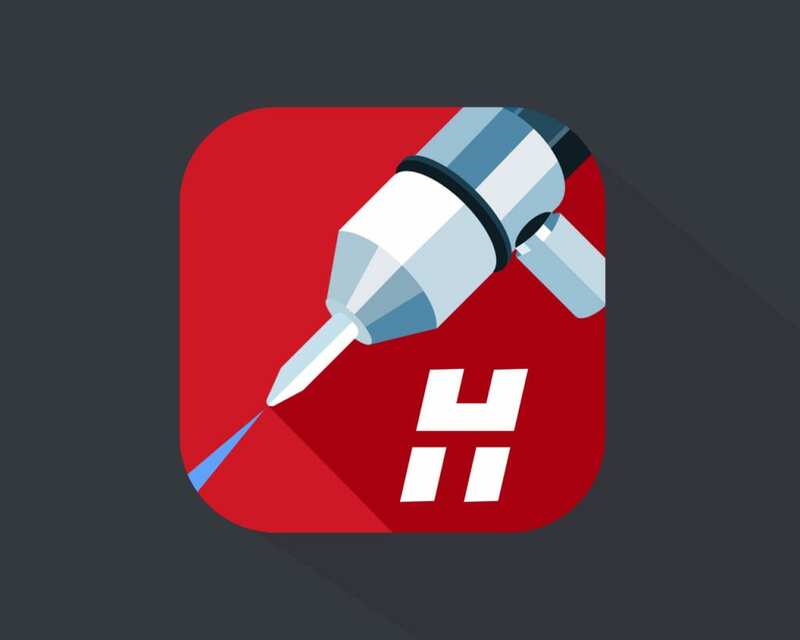 Make maximum cuts of ½-inch thickness and maximum severance of ¾-inch thickness. You can cut a wide variety of metals- copper, aluminium, stainless steel, mild steel, and alloy steel. Take advantage of the pilot arc to cut through rugged, rusty, or painted metal surfaces. Its meager 26-lb weight and strong handle brings you great portability. It measures 12 inches in height, 6 inches in width and 15 inches in length. Just like its LTP5000 counterpart, the LTP6000 plasma cutter boasts of a dual frequency of 50Hz/60 Hz. In addition, it comes with the award winning Infineon technology invented by Siemens. It can cut metals of different materials and thicknesses, thanks to its 200-240VAC Power. Similarly, it employs the PAPST German cooling technology. Like many machines manufactured by Lotos Technology, the plasma cutter uses IGBT technology. The fact that it is versatile means you can utilize it in a number of environments. 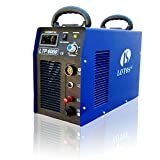 Most Lotos plasma cutter reviews indicate that it can be used in vehicle repair shops, light constructions, truck building, and any other metal fabrication industry. The versatility is enabled by its hardy construction to withstand the heavy rigors of industrial environments. Take advantage of its integrated pilot arc functionality. The blue plasma cutter weighs measures 40 pounds and measures 23.8 inches in length, 16.9 inches in height and 13.2 inches in width. If you are looking for the best Lotos plasma cutter, invest in the LTPDC2000D machine right away. It is a plasma cutter as well as a welder manufactured by Lotos Technology. In fact, it is the first machine that combines three functionalities in one- DC TIG Welder, Pilot arc Plasma Cutter and 200amp Stick Welder. For this reason, it rates highly in most Lotos plasma cutter reviews. With the multipurpose machine, you will be able to cut different metal materials of varying thicknesses. They include steel, copper, and aluminium. There is an optional foot pedal that you can buy separately and fix on the machine for added efficiency. Make super clean ½-inch cuts on various metals. Take advantage of the machine’s multi-faced features. For example, you can use the 50Hz or 60Hz frequency or the 120/240vV voltage. In this regard, seasoned metal fabricators as well as domestic small-scale users can use it. 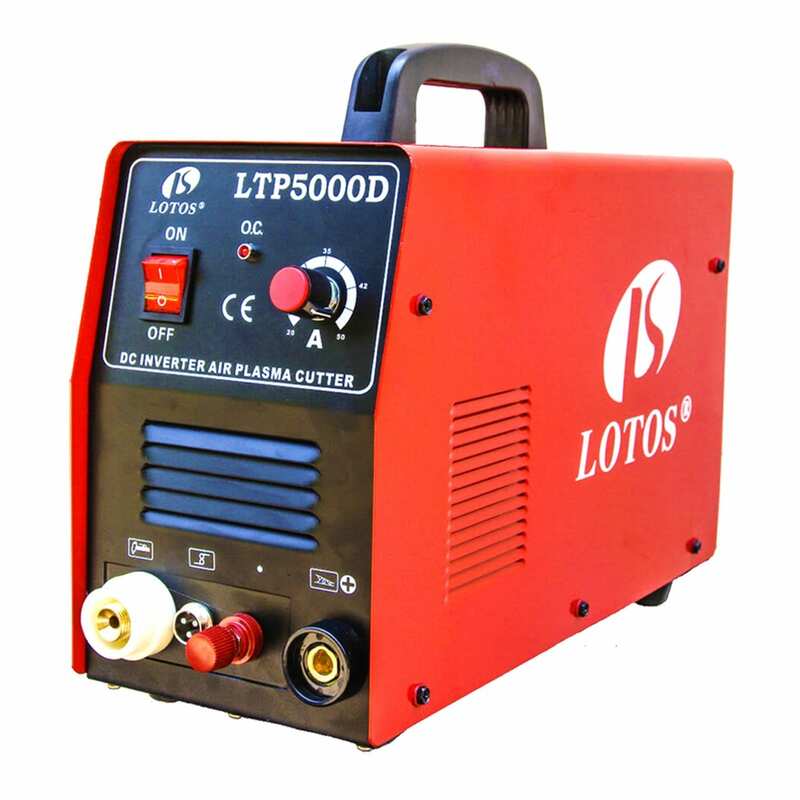 Just like its LTP5000D counterpart, the Lotos LT500D version is a 2-in-1 machine- it is a welder as well as a plasma cutter. The only difference is that this one is uses a digital air inverter system. In addition, it is suitable for cutting mild steel, stainless steel, alloy steel, copper, and aluminium. It also boasts of the discerning PAPST Advanced German Cooling System. While it is reasonably priced, it brings innumerable advantages. For example, the machine only requires very little maintenance. Similarly, you will be exposed to less fire hazards and noxious gases than when using other plasma cutters. It weighs just 25 pounds and all “best Lotos plasma cutter reviews” agree that it can be used in numberless environments.